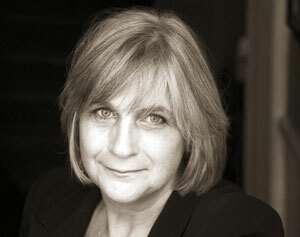 Anne Somerset was born in 1955 and read history at King’s College London. 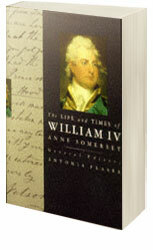 In 1980, her first book, The Life and Times of William IV, was published in Weidenfeld & Nicolson’s Kings and Queens of England series. This was followed in 1984 by Ladies-in-Waiting: From the Tudors to the Present Day, which examined the role of women at the English royal court over four centuries. 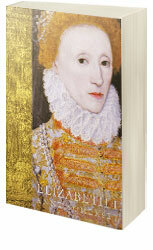 In 1991 Anne Somerset’s biography of Elizabeth I was received with acclaim on both sides of the Atlantic. 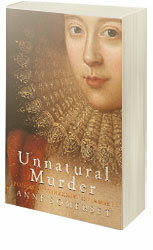 Her next book, Unnatural Murder: Poison at the Court of James I - an account of the sensational scandal arising from the murder of Sir Thomas Overbury in 1613 - was shortlisted in 1997 for the Crime Writers Association Gold Dagger award for non-fiction. 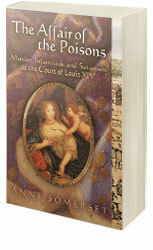 The Affair of the Poisons: Murder, Infanticide and Satanism at the Court of Louis XIV was another well received study of seventeenth century criminality and court scandal. Anne Somerset’s most recent work is a biography of England’s last Stuart monarch, entitled Queen Anne: The Politics of Passion. This has been awarded the 2013 Elizabeth Longford Prize for Historical Biography. 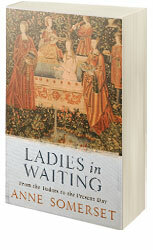 Anne Somerset has spoken or been interviewed at numerous literary events, including the Hay-on-Wye Literary Festival, the Cheltenham Literary Festival, Dartington Hall Literary Festival, the Althorp Literary Festival, Chalke Valley History Festival, Blenheim Palace Literary Festival, the Theatre Royal Bath, Hampton Court Palace, Kensington Palace, and Oxford University Historical Association. In 1702, fourteen years after she helped oust her father from his throne and deprived her newborn half-brother of his birthright, Queen Anne inherited the crowns of England and Scotland. ‘One of the most enjoyable biographies I’ve read in the past year, elegantly written and with an encyclopaedic grasp of the period. I loved every page of it. Somerset guides us expertly and effortlessly through the labyrinthine party politics of the reign ....Brings [the characters] to life with flair and scholarship’. I am chair of the Judges of the ELHB Prize. We don’t publish a short-list but we do consider an eclectic and impressive range of works, and our meetings are intense and spirited. The job of chairing is a little, but only a little, like being Queen Anne dealing with her ministers. The reason why I know this is because this year the book we agreed most deserved the prize is Queen Anne by Anne Somerset. We chose it because of its depth, range, empathy and the fact that it is full of surprises. It is written by a biographer who knows how to handle political intrigue, family relations, the pathos of failed relationships and stunted lives, and the complex meanings of ‘friendship’ in the early eighteenth century. It is a riveting portrait of authority and power, and how people accustom themselves to handling it; and in the process the book delivers a judicious revision of the Whig narrative of the period. It shows a woman surrounded by insecurities, both constitutionally and personally, and who is plain, shy and uncharismatic. But she also possesses fierceness, conscientiousness, a powerful sense of duty, and an odd streak of passion. The word recurs. The subtitle of the book is ‘The Politics of Passion’, which at first surprised me. But it fits, and this is a biography written with passion as well as judiciousness: which makes it a very worthy winner of the 2013 Elizabeth Longford Prize. © 2015 Anne Somerset : Website designed by Blade Design Ltd.